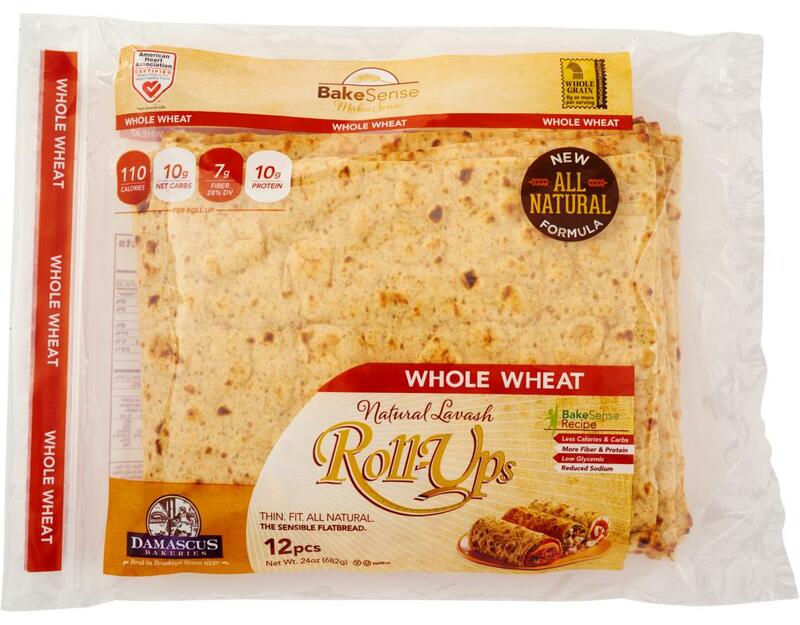 A thin alternative to ordinary bread, still packed with many fibers and whole grains. 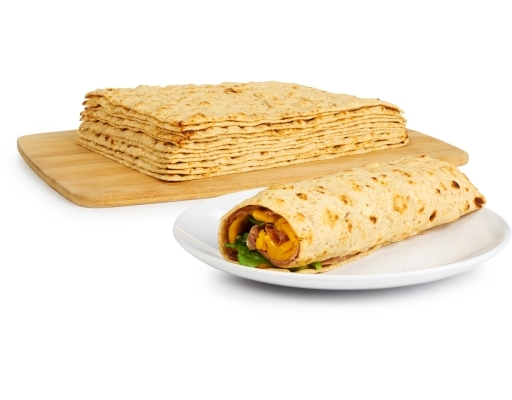 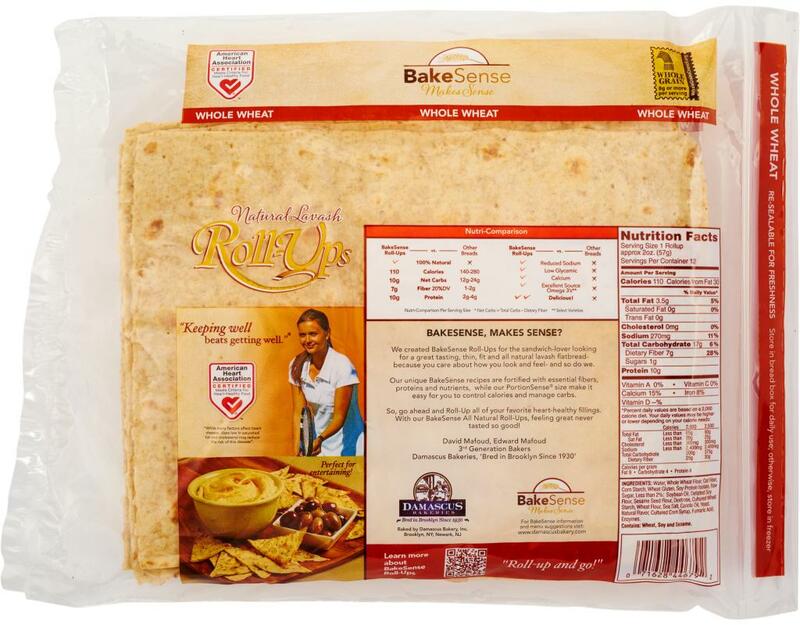 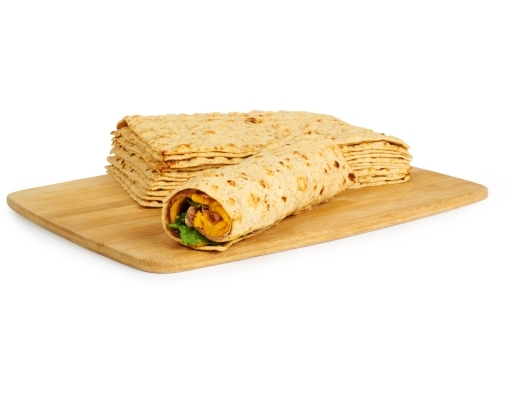 These roll-ups can complete any meal of snack, great for on-the-go creations. 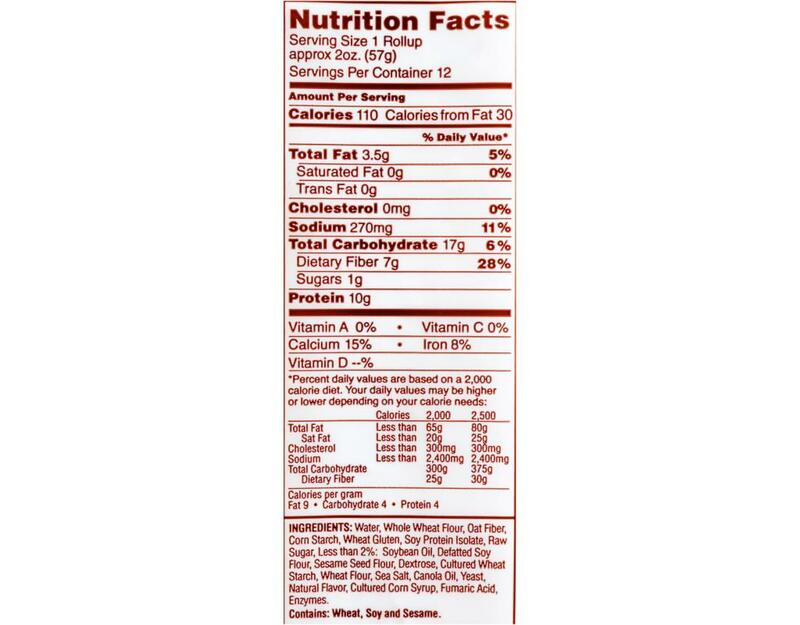 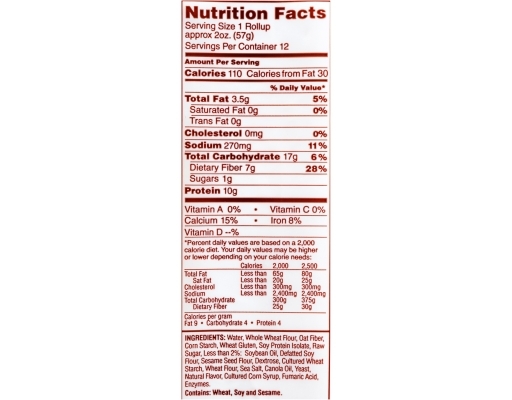 Water, Whole Wheat Flour, Oat Fiber, Corn Starch, Wheat Gluten, Soy Protein Isolate, Raw Sugar, Less Than 2%: Soybean Oil, Defatted Soy Flour, Sesame Seed Flour, Dextrose, Culture Wheat Starch, Wheat Flour, See Salt, Canola Oil, Yeast, Natural Flavor, Cultured Corn Syrup, Fumaric Acid, Enzymes.